NOTE: This feature is only found in the HealthCenter21 packages. The Daily Knowledge Challenge is a popup that will appear once a day when a student logs in and offers 10 challenge questions for the student to answer. The topics the challenge covers include Medical Terminology, Anatomy and Physiology and Pharmacy Tech. These topics have the most vocabulary and concepts to learn and therefore may need more practice. How can the challenge be used? Refresher for an advanced class. Precursor for a class who has yet to cover those topics. 1.) Go to the My Classes screen and choose a class. 2.) 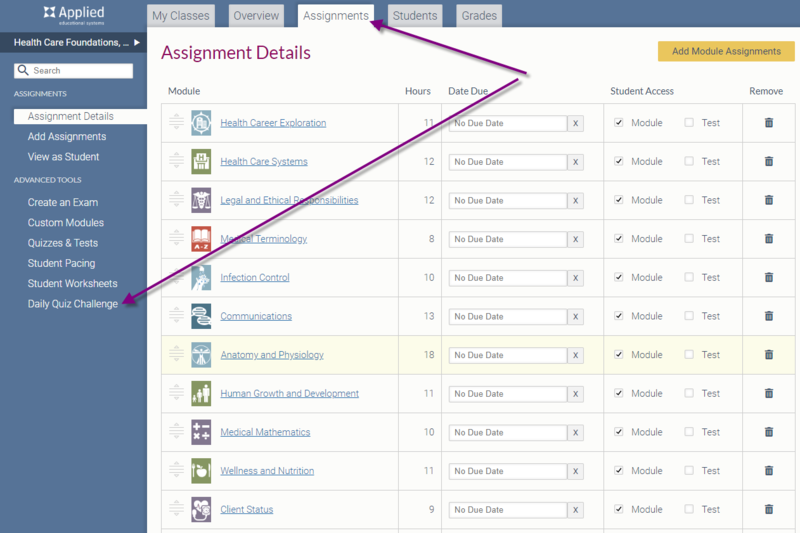 Go to the Assignments tab. 3.) On the left, click Daily Quiz Challenge. 4.) 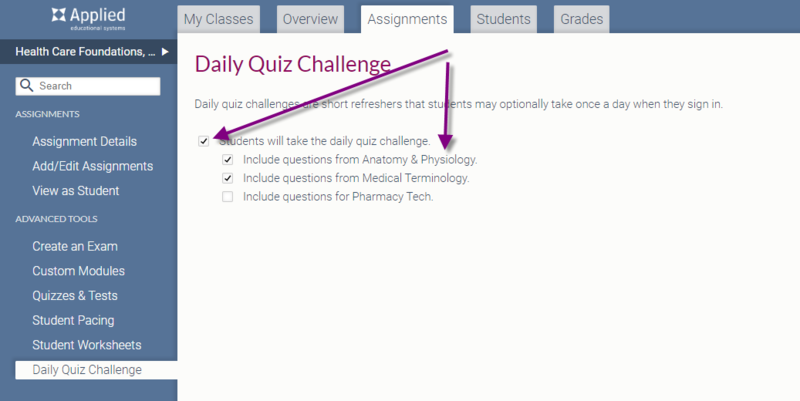 Check the box for Students will take the daily quiz challenge. 5.) Then check the boxes for the content areas that you want included in the challenges. 1.) Go to the Grades tab. 2.) On the left side of the screen, click Activities/Games. 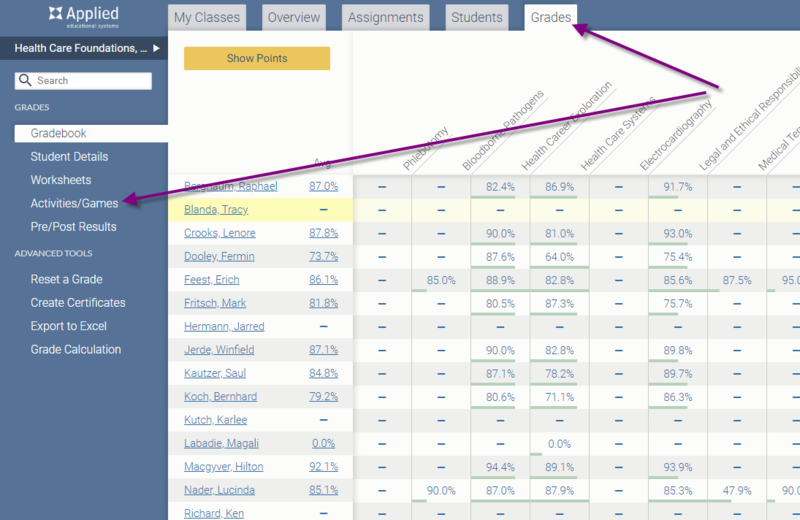 There you'll be able to view a Leaderboard, student Participation, and your class Competencies compared nationally.